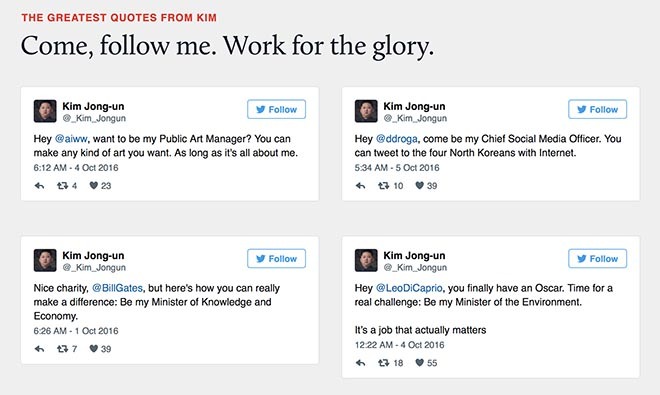 Part Time Lab, New York, has won gold for Best Use of Social Media at the Golden Award of Montreux for “The Greatest Recruit”, a campaign developed for Liberty in North Korea (LiNK). 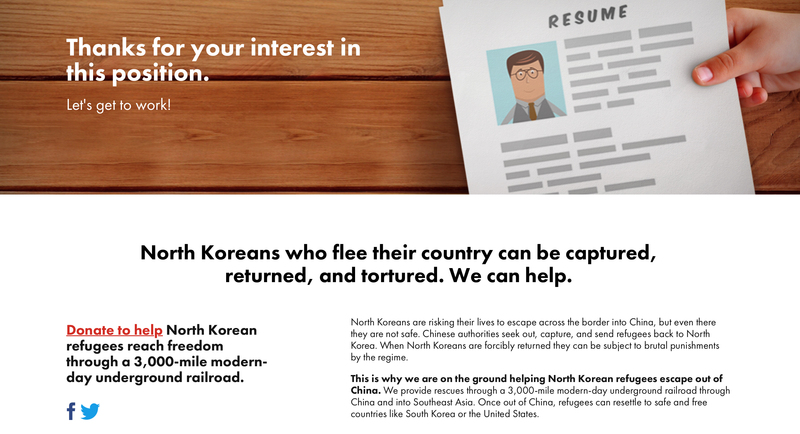 LiNK is focused on the support of refugees from North Korea. 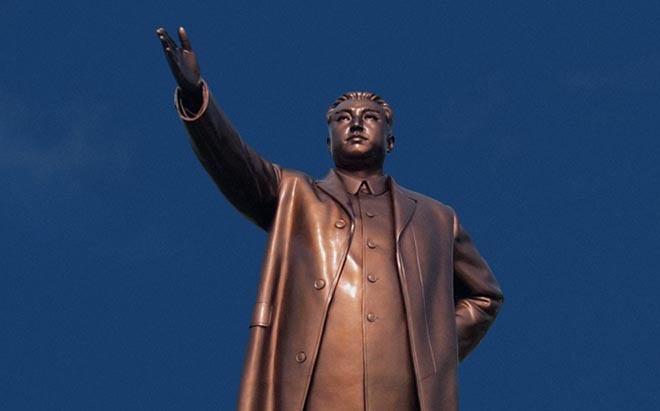 Against a backdrop of nuclear programs, forced labor camps, and an infamous, brutal dictator, thousands of North Koreans make their escape. Their stories go largely untold – a cause that people across the globe could actually affect. Part Time Lab needed a new way to break through all of the noise coming out of North Korea – a way that flips the script and gets people talking about the North Korean refugee crisis. They enlisted the help of the glorious leader himself, Kim Jong-Un, online at thegreatestrecruit.com. 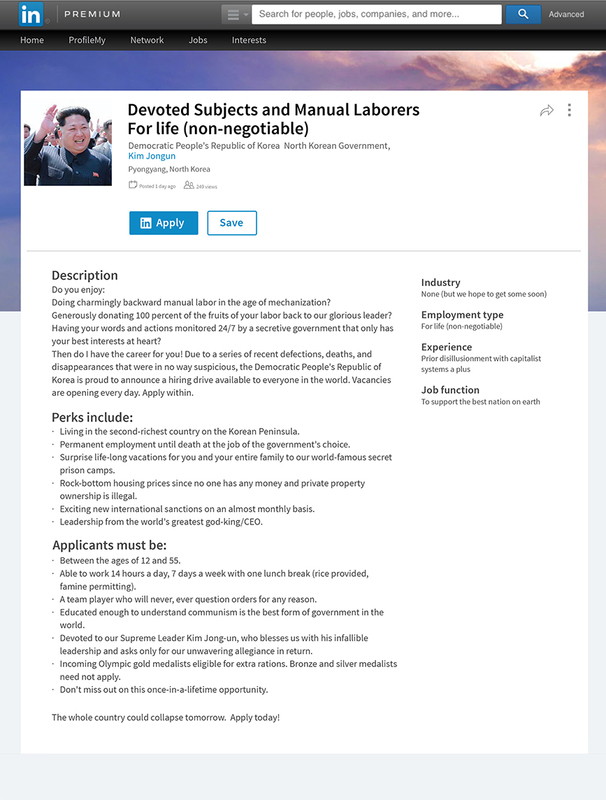 Kim Jong-Un took to major job search sites (Job Spider, WiseStep) and announced unlimited job openings in North Korea – job openings that anyone in the world could apply for. In case anyone doubted Kim, Kim Jong-Un’s LinkedIn profile was developed to include achievements like his sanctioned nuclear plants and child labor programs and also a commercial for his recruitment campaign. For his cabinet, Kim got on Twitter @_Kim_Jongun,and hand-selected his picks – picks like Leonardo DiCaprio as the Minister of Environment. 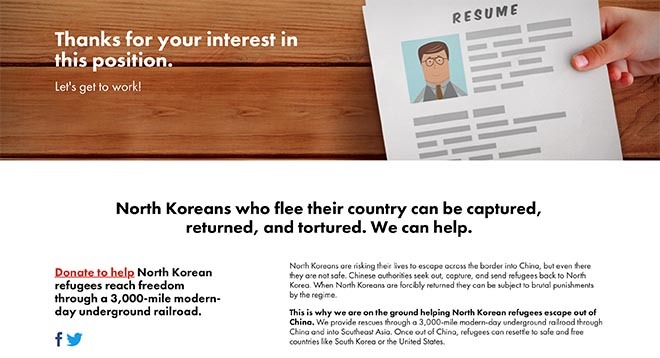 Every applicant was redirected to a landing page for Liberty in North Korea. The Greatest Recruit campaign was developed at Part Time Lab, New York, by creative director Tomic Lee, art directors Myeongseok Cheon and Junggle Kim, copywriters Jared Powell, James Breakwell, and Andrew Kim. Filming was shot by director Diego Pernia, cinematographer David Torres and producer Pedro Torres.